Engage students in STEM as they learn about the importance of fire as a management tool in forestry. The following enrichments are intended to accompany Project Learning Tree’s Living with Fire activity, found in PLT’s PreK-8 Environmental Education Activity Guide. Be sure to check out the full lesson! 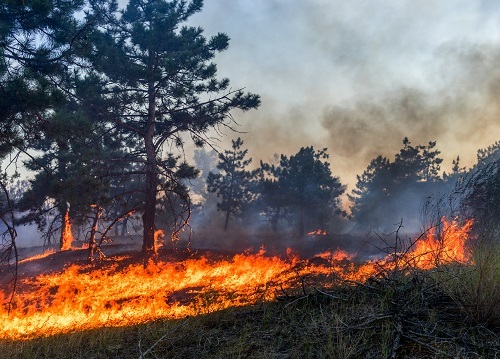 The activity ideas below will help students explore the BIG difference between a wildfire – an unplanned event which often results in landscape devastation – and a prescribed fire – one that is ignited with the purpose of reducing the risk of wildfire while improving forest health and wildlife habitat. Students will learn how fire can be beneficial to a forest landscape when it is planned and managed. Getting Started: Provide students the opportunity to learn about the differences between a wildfire and a prescribed fire by watching this short video. Essential Question: What can you do to increase the safety of you and your family in case of wildfire near where you live? Task: Review statistics published by the Insurance Information Institute to estimate the probability of wildfire in your area. Evaluate the area around your home or school and identify ways to protect these places from wildfire. 3-ESS3-1 Earth and Human Activity – Make a claim about the merit of a design solution that reduces the impacts of a weather-related hazard. MS-LS2-3 Ecosystems: Interactions, Energy, and Dynamics – Develop a model to describe the cycling of matter and flow of energy among living and non-living parts of an ecosystem. HS-ETS1-4 Engineering Design – Use a computer simulation to model the impact of proposed solutions to a complex real-world problem with numerous criteria and constraints on interactions within and between systems relevant to the problem. A fire requires three things to burn: heat, oxygen, and fuel. 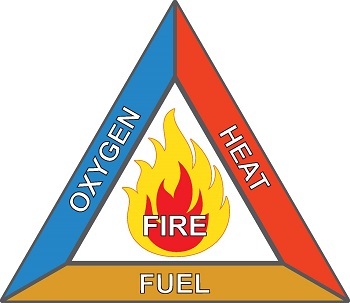 These three components are also known as the Fire Triangle. If one of the sides of the fire triangle is removed, a fire will not start, and a fire that is already burning will go out. Fire-fighting relies on this principle. The fire will go out when the fuel runs out, but it is often unsafe to leave a fire that long. Different types of fires need to be tackled in different ways. Review the chart below and complete the final column, which defines the fire triangle element eliminated by the firefighting action. Design a home & landscape plan that reduces the amount of flammable vegetation and materials around your school or home. 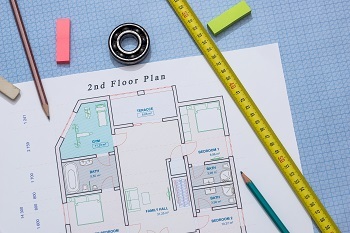 Using standard graph paper, first sketch your home’s floorplan and surrounding areas. Map out the fastest route from inside your home to a safe meeting place that your entire family knows about. Insert any landscape modifications that will support or enhance your escape plan. Read the What is a Prescribed Fire? article, published by the National Park Foundation, to learn about the Plastic Sphere Dispenser (PSD) and its role in prescribed fires. Mimicking the PSD’s approach and accuracy (but without the real fire! ), challenge students to make plans for their own ping pong ball launching devices using basic materials. For inspiration and plans for a working model, view Khan Academy’s Projectile Launcher prototype. Even without building your own, consider updates and modifications to be made to this existing ping pong ball launcher after watching the video. Try testing out this basic forest fire simulation to learn about probability and prediction. This activity allows users to see the results of a fire if a forest is densely planted in a rectangular grid when directional probabilities are set. Try running the simulation in small groups of 2-4, challenging students to use and evaluate this forest fire probability model. Exploration questions for the instructor are also provided. Don’t consider yourself a formal teacher? Check out PLT’s Connecting Kids with Nature family activities. We have 40+ nature activities for families that can be easily used by parents, grandparents, youth group leaders, nature centers, and other nonformal programs.